Have you ever wished that there was a way to increase growing space automatically? Quite possibly my husband thinks this every time we pass a garden centre. When fall clean up time rolls around, I am eternally grateful we have a small garden. So why is it in spring, this thought would pop into my head? Well, let me paint you a picture. See if this scenario sounds familiar to you! It’s the dead of winter, and the cold, gray dullness of February has you in its clutches. Just when you begin to think the winter will never end, you get a package in the mail. Why yes! The post office comes to the rescue by delivering your annual, coveted spring seed catalogue! Watching me shop for seeds, is a bit like watching a kid make out his Christmas wish list. I have records that are refined several times over, that catalogue is dog-eared and highlighted as I decide what to order. If you peeked at my notes, you might think I was running a CSA project (community-supported agriculture), but no. It’s my husband, Don and I and about 48 square ft of garden bed space. As I write this, it sounds like a lot of space, but it is so much less when you have plants started and no space to put them. We’ve done this for years. We start LOTS of seedlings, plant what we can and then supply family and friends with the leftovers. We usually hold a few back in pots, just in case one of the transplants don’t make it. Historically, we have always planted lots of peppers and tomatoes, but the past few years we’ve cut back in favour of other vegetables. I’ll admit I got a little crazy with this year’s seed purchases. I came across a Twitter post from Baker Creek Heirloom Seeds that grabbed my interest. I mentioned the Glass Gem Corn that I had ordered in a previous post. Well, I placed another two orders for various seeds after that. Luckily, Don is thrilled to have more to do, so we are planning out the beds this weekend. Quite honestly, even though we will only plant a few of this, and a few of that, there still won’t be room for everything in our three vegetable beds. So, time for a side note. In previous years, we have planted as a hobby, which meant that our expectation were some exercise, fresh air and hopefully some fresh food. This year, our focus has shifted to becoming more self-reliant. Our goal is to grow as much homegrown produce year-round as possible. 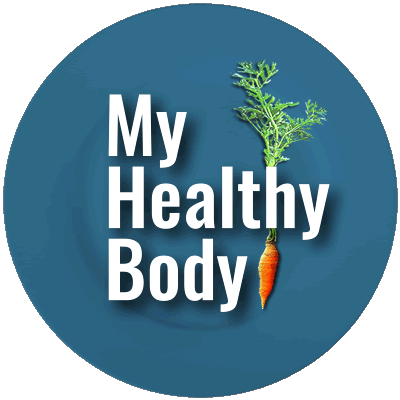 We want to avoid purchasing foods that are all too commonly recalled. Additionally, we’re going to experiment growing varieties that are not commonly grown in our region. So, when you run out of garden space, you get creative. While not all of these are original ideas, many are new to us, so we will report back on the benefits and challenges that we run across as well as providing a report at harvest time. 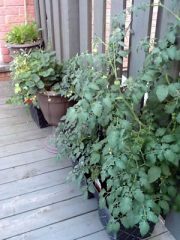 Container gardening is probably the first method one thinks of to increase growing space. Certainly one can use large pots for this purpose, but there are other containers that you might consider as well. Over the past few years, we have been growing sweet potatoes with limited success. Sweet potatoes like the heat, but they also require regular moisture when the potatoes are forming. They also need a longer growing season. Our second year testing them we lined a compost unit with landscape cloth and filled it with a mix of soil, manure and peat and planted our slips, We had a 4.5 lb harvest that year of small fingerling sweet potatoes. 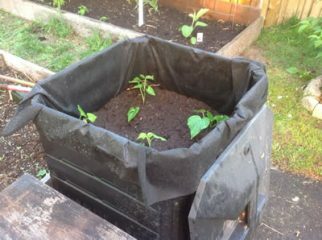 The next year, I lined and filled a recycling bin and planted the potatoes. There were two reasons I changed to this container. I learned that the potatoes all formed within the top 12 inches of the soil, so we didn’t need a deep pot, but more importantly – I could move this one into the greenhouse to extend the season when the nights got cooler. I’ve seen people using old milk crates, storage bins with holes drilled for drainage, even a small hard-sided kiddie pool could come in handy if needed. I’m sure looking around your garden shed, you’ll come up with more ideas. Another method to easily increase growing space, without digging a garden bed is through the use of straw bales. A neighbour told me about this method a few years back and until this year, and although I thought about giving it a try, I didn’t need more bed space until this year. The concept is this: stand the stray (not hay) bales so that the cut side of the straw is facing up. You add a measure of fertilizer and soak the bales, and over a period of a couple of weeks, the fertilizer begins to compost the straw. It will heat up during this process, so you must wait until the process has advanced enough and the internal temp cools down. Then you can plant. I purchased ‘Straw Bale Gardens’ by J. Karsten last season to learn more about the method. Karsten outlines the full process as well as the range of fruits and vegetables that can be grown. I love the idea of planting potatoes and then cutting the bale open to retrieve them. At the end of the season – the finished straw could be used to benefit the other beds. Alternately, if you plant crops that won’t disrupt the bale when harvesting, squash, for example, that bale could be used for another year. We will let you know! I located some great demonstrations of vertical gardening on Pinterest. Very imaginative uses of wood skids, eavestrough and ABS plumbing, all inventive methods to increase growing space. The examples vary from free-standing or wall-mounted to solutions that elevate the plants in the existing garden beds. I’ll fill you in later as to the method we’ll use as we are still exploring our options. 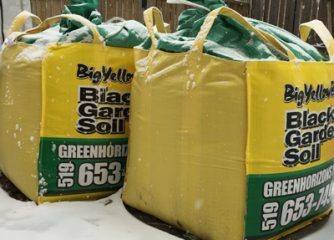 We placed an order for triple mix soil again this year from Big Yellow Bag and are excited to make use of the bags as well as the earth! Why spend 89$ for a 4×4 Smart Pot bag when you have virtually the same item delivered to your home with the soil! Ideally, you want the bag dropped where it will lay as a garden bed. While it’s not likely to happen, one can dream! I’ll be folding the sides down over some 1×6 board lengths to firm up the sides before I add the soil, and I’ll make sure to leave a generous rim height. The rim will help prevent soil spills during the rain storms. A thought: if you happen to have a friend with an empty bag, you could also make arrangements to borrow it, fill it as a bed and return you bag to them when empty. We will always have the odd plant that we don’t have room for, but don’t want to waste. Inter-planting is a great way to increase growing space without having to create additional space. 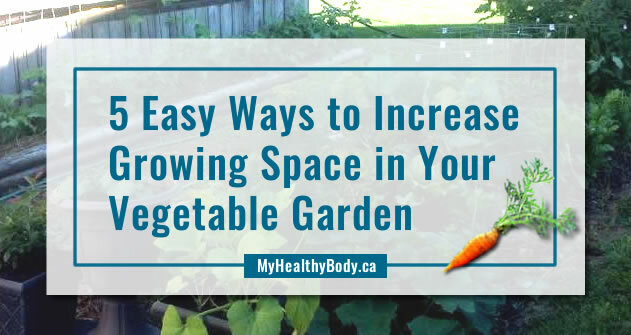 Just tuck a veggie or two in your flower beds. The surrounding flowers might even boost productivity, providing a bountiful harvest. Some plants do not play well with others, so companion gardening knowledge is beneficial. I’ll follow up with details soon. Well, as you can imagine, we have work ahead of us! When I mentioned easy methods, I was referring to no deep digging or stone lifting. Moving soil is is tiresome, so we will work in stages. The goal is to enjoy the journey, not dread it. We’re starting early enough in the season that we should have the beds ready in plenty of time. We got a little dusting of snow this morning, but we should be ready to start work soon. Wishing you all a great spring and happy planting! Karsten, J. (2013). 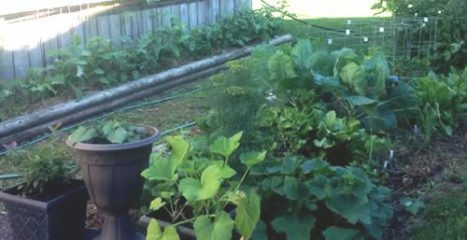 Straw bale gardens: Breakthrough method for growing vegetables anywhere with no weeding. London: Cool Springs.